How we acquired IMG as a customer… Without even noticing?! Learn about how we “almost” acquired IMG as Scandinavian OTT streaming partner and why Rolf-Otto Eriksen is the most famous sports commentator in Norway! The inbox of our outstanding customer service at Strive can look very different: sometimes you start the day with a lot of customer inquiries about technical functionality or organizational issues. Sometimes you work on a more detailed documentation or create a video tutorial. But, on very rare occasions, there are also days when the inbox is flooded with tons of congratulations and questions from Swedish football fans. Days like today. More than 80 users asked via Intercom about the Serie A football stream and when it would be available in Norway and Sweden. Some thanked us for bringing their favorite sports event to their country. What was very interesting: over 30 of them asked for Rolf-Otto Eriksen as their favorite sports commentator. First, we thought about a mis-installation of our Intercom messenger and even someone doing a prank on us. 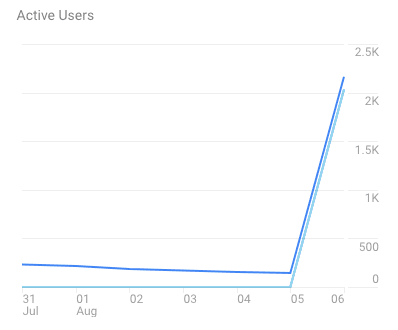 But then we noticed that also our Google Analytics where exploding! Now we really had no idea what was going on anymore… Could it be? Did some big sports broadcaster sign up for our account and integrated StriveCDN’s P2P solution overnight?! While I was still trying to figure out what was happening, our Head of Service Daniel already opened the first bottle of champaign (in case you are wondering – yes we keep some of them in our fridge right next to the German beer). I went through all the Intercom messages and asked the new users where they got their information. I received some links to Sweden’s and Norway’s biggest sports news pages. I was overwhelmed. MyNewsDesk.com happily announced Strive as the new streaming service for Serie A and La Liga in Norway. SportBusiness wrote about IMG (a company offering live streams for various football leagues) starting an OTT broadcasting offer with Strive as their main solution and so did Fotbollskanalen and Svenskafans. My CTO Christopher looked at Daniel: “Okay, this is it! Pass me the champaign!”. Despite all the very promising news, I still did not believe it… And as you may already have guessed, after some 10 minutes more research, it all turned out as a big misunderstanding. IMG plans to launch an OTT service this month. Believe it or not – they called their new service Strive. We got into a huge debate about how the english word “strive” was a terrible naming choice and that we instantly should rebrand. Christopher even choked on the champaign and loudly coughed. 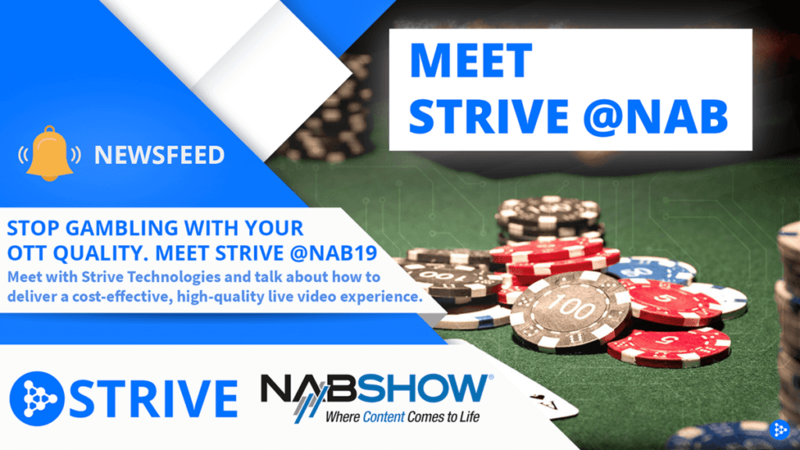 We are glad that you like the name Strive and that you are helping OTT to become the new global streaming standard. However, we think this was a very complicated way to ask for our help. We provide live chat, phone support and an official email address. You could easily just have asked. But it is not too late yet! Maybe after our little story, someone at IMG will think “Hm, maybe we could not only use Strive but also Strive!”. We think this would be an amazing idea since we really owe it to at least 80 Norwegian football fans. Let’s make them happier together with the next generation of OTT broadcasting delivery – the real Strive!